The entry-level consumer TLC series includes 256-bit encryption and Opal 2.0 at affordable starting prices of $60 USD for the 120 GB model. Kingston SSDs are notable for their five-year standard warranty as opposed to two to three years from many other storage manufacturers. The UV500 SSDs will likely find their way into inexpensive or mainstream laptops since they lack NVMe support. 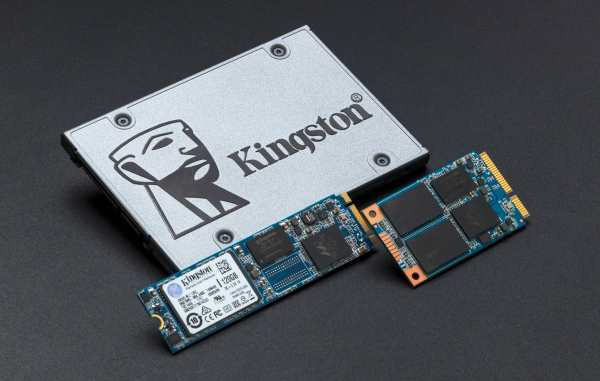 Kingston has unveiled a new SSD product family under the name UV500 that will cover a wide range of form factors from the classic 2.5-inch SATA down to the small M.2 2280. This also includes the increasingly rare mSATA form factor that was common on some super-thin notebooks before the M.2 form factor became commonplace. All three form factors are expected to share the same 3D NAND technology, 256-bit hardware encryption, and Marvel 88SS1074 controller for sequential read and write rates of 520 MB/s and 500 MB/s, respectively, with a maximum 4K read of 79000 IOPS and a maximum 4K write of 45000 IOPS depending the capacity. Speaking of capacity, the maximum available storage size will depend on the form factor. The aging mSATA form factor will be limited to 480 GB while the M.2 and 2.5-inch sizes can go up to 960 GB. A five-year warranty will come standard across the entire lineup. The UV500 series is now shipping through Kingston albeit at limited capacities for now. Check out the official product page for more details on its features and availability.